One of two autonomous boats that will be crossing the Atlantic Ocean. We are attempting to break two world records in the realm of unmanned autonomous boats. In separate voyages we are endeavoring to complete the first unmanned autonomous circumnavigation of planet Earth, and the first crossing of the Atlantic Ocean with a fully autonomous boat. Our team of scientists, engineers and boat designers is embarking on these autonomous adventures as a way to showcase technological innovation, promote environmental stewardship, and to involve schools to inspire future generations. In summer 2019 we will launch our two autonomous sailing vessels from Newfoundland, where they will begin a 5000 km voyage to Ireland. This will be followed with a launch of a solar electric autonomous boat from California, which will cross the Pacific and continue voyaging through the Southern Ocean, around Antarctica, and then back to California. The vessels will be equipped with ocean monitoring equipment, so they can relay information home and help us better understand our oceans. We are partnered with the Canadian Maritime Museums of BC and the Atlantic. Their museum exhibit on the project will be on display in Victoria and Halifax and will visit other museums across Canada. An educational curriculum program for students in Kindergarten to Grade 12 will be freely available, and will allow students to use the project as a valuable learning tool. There will be public lectures by team members at museums and learning institutes across Canada that will enable people to see the autonomous boat and learn more about the project. Several thousand students will also have the opportunity to submit a picture or letter to be carried across the ocean and if successful, returned with an official stamp of success. If our Atlantic crossing is successful we’ll receive a Guinness World record and the vessel will be the first autonomous boat to cross the Atlantic Ocean. So far, there have been 27 attempts, but all have failed. 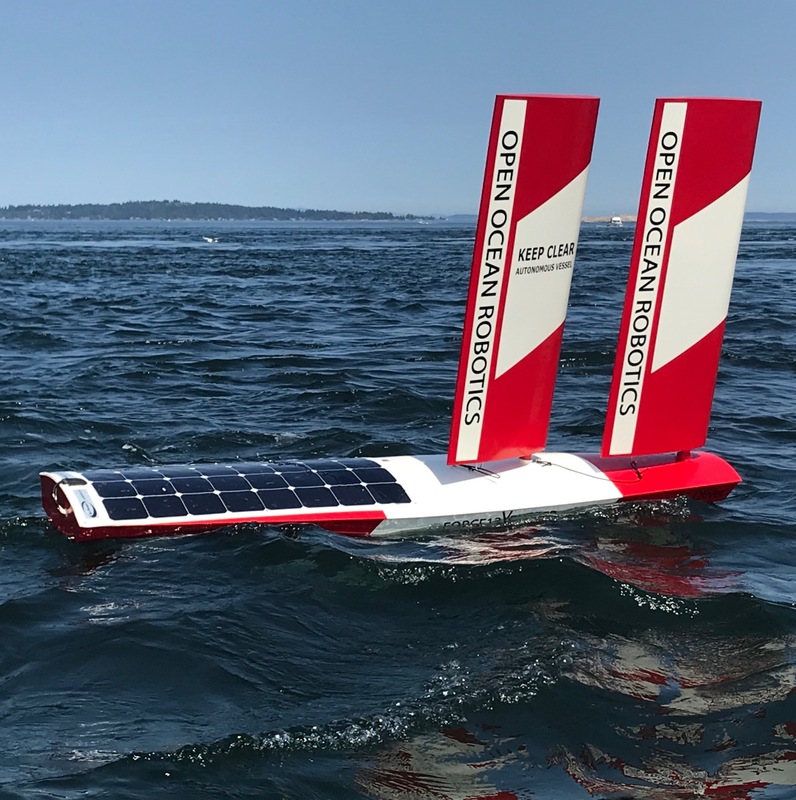 Technical malfunctions, storms, sharks, fishing gear entanglement and collisions are just a few of the problems these autonomous boats have encountered. Extensive analysis of previous challenges has allowed us to create several innovative boats designed to deal with these hurdles. Our experience crossing oceans by human power combined with our experience designing and creating boats for Angus Rowboats, gives us unique insight into what is needed. If our solar autonomous boat, SolarXplorer, succeeds in circling the planet, this will be an even bigger accomplishment. Due to the rigors of the expedition, we will be spending significant time testing and refining the vessel. Autonomous boats play a crucial role in science and industry, and long range vessels such as this one are particularly important for understanding our oceans as they offer a more affordable way to obtain scientific data compared to expensive crewed research ships, and are much more capable than ocean buoys with sensors. To demonstrate this capacity, oceanography and atmospheric data will be collected by the boat and live-relayed throughout the journey. We have many talented people in our team that make this project possible. We are also putting together the sponsorship team that will allow us to develop the boat as well as deliver the student outreach program, public talks and cross-Canada tour. You can follow the progress of our boat in our updates section. There have been multiple news outlets that have come to see our boat and you can see some of their interview in our media section. Currently we are working on the prototype boat and for an overview of this boat please watch the video below. If you would like to get involved in this project, either as an educational institution or a sponsor, please get in touch with us.